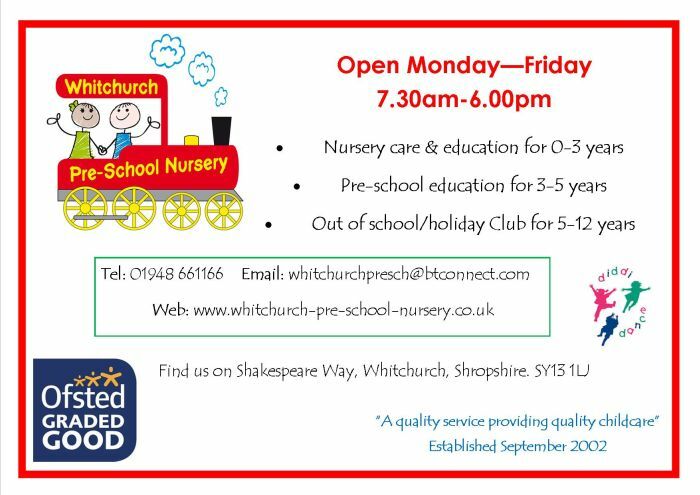 Whitchurch Pre-School Nursery (Shropshire) Ltd. 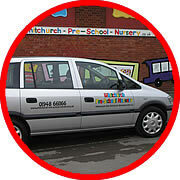 Welcome to Whitchurch Pre-School Nursery (Shropshire) Ltd. 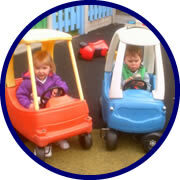 Welcome to our nursery, we are set in the countryside, on the outskirts of Whitchurch. Access is via Whitchurch Business Park on Shakespeare Way. We are based at the rear of the County Training site. We provide a secure, stimulating and enjoyable environment for the children in our care and to promote this we supply a wide range of toys, equipment and activities to promote all areas of child development. The nursery day will involve a balance of structured activities, free play and outdoor learning and play in a secure, high fenced area. 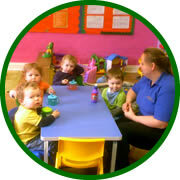 The children eat a wide variety of homemade meals and snacks which are prepared on site by our nursery cook. We are very proud to hold a Silver Award in Shropshire Healthy Eating Award and a 5* Rating by The Food Standards Agency. At Whitchurch Pre-school we understand that it is important for the parent/carer to feel confident and happy when bringing and leaving their child at the nursery. To ensure this, we build strong relationships with parents/carers and their child, who will have their own keyperson working closely with them to plan activities, care for and provide feedback about your child's day at nursery. We have events throughout the year such as Grandparent's day, Mother's & Father's days, Sports day, parents evenings, Christmas carol concert, parties and annual outings which all parents and other family members are invited to join in. We also have a parent panel at the nursery whereby we encourage parents to participate at least twice a year in meeting with the directors to further enhance the existing quality of early years care and education we provide in the nursery. "Thanks for all the patience, support & affection you have shown my son through his time at your nursery, He has loved it! It's been great to send him somewhere we can trust and is so reliable." "Fantastic service, no problems over the last 5 years, always recommend you as a nursery." 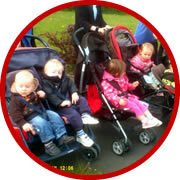 We provide free nursery sessions for these ages, 2 year old free places are subject to eligibility. Please contact the nursery for more information. As of 1st July 2010 Whitchurch Pre-school Nursery came under new ownership, and the new owner, Julie Allmark used to manage the nursery when it originally opened in 2002, until she left in 2009 to take a promotion outside the company. Julie has now returned as the Managing Director & Nursery Manager within the setting and holds a BA Hons in Early Years Leadership with Early Years Professional Status. The Management team extends to a Deputy Nursery Manager & then a Senior Nursery Practitioner, who are both experienced & hold a relevant Level 3 qualification. We have 18 members of qualified and experienced staff within our team including our nursery cook, who is very passionate about her job role & provides healthy, nutritious & tasty meals and snacks for the children. 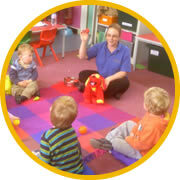 All Staff attend regular training, with priority given to Paediatric First Aid, Food Hygiene & Safeguarding training.